Bari Original Series synthetic reeds give brilliant and vibrant sound with great projection and focus. They offer immediate response and consistent response and playability. These are ideal for players who double on other instruments since they don't need moistening. They can be shaped and filed easily for a custom sound and feel. These last much longer than natural reeds with better consistency. You can clean your Bari Original Series reed with warm water and a bit of soap. Bari's reeds are manufactured (not moulded) from a unique, synthetic fibre which absorbs the right quantity of humidity. 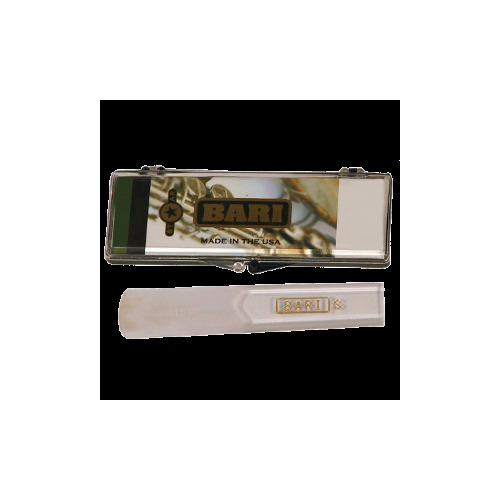 This guarantees that every single reed you purchase from Bari will consistently have a perfect sound and quick response. 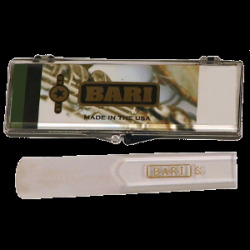 Bari’s Original series reeds are Made in the USA.